To get to Paris, Dad and I had to leave our hotel at 4am to catch a flight at 6am. Please note, this was not the original plan, but the airline changed the flight times. With the change, it did leave us with about another whole day to explore Paris! After we checked into our hotel, we decided to get some coffee before starting the tourist activities. We had just flown too early in the morning, so we needed some fuel for the day! From there, we walked down to the Opera House. Our hotel was in the same area, so it was a quick five- minute walk in one of Paris’ nicest neighborhoods. In 2008 when I last visited Paris, I only had a chance to visit the outside of the Opera House. As a huge lover of Phantom of the Opera, I wanted to see the famed chandelier that inspired the story and later the musical. The inside was absolutely gorgeous- just as I expected it to be. Sadly, the chandelier was not on sale, and the Phantom seemed to not be at home. Dad and I then took off wandering the streets of Paris before making our way to the Louvre. We ran quickly inside just so that Dad could see the iconic pieces. One day I do plan on spending time getting lost in the galleries. We took a quick Parisian lunch by Notre Dame before Dad took a break for the day. 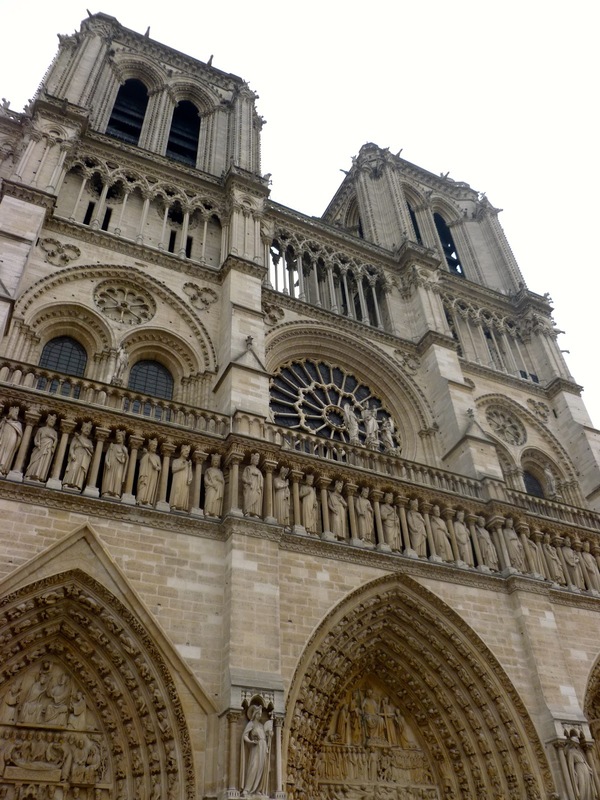 Adventurous as I am, I decided to see parts of Paris that I had never spent too much time in before. 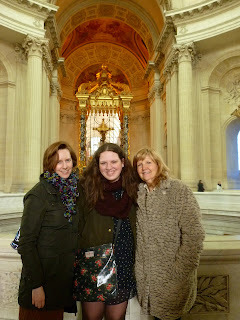 I headed down to Les Invalides to see the tomb of Napoloen. Although, before I could see the tomb, I ran into two of the women who work for the Syracuse London program. It truly is a small, orange world. Checking the tomb off my list of things to see, I indulged at Laduree (flagship store on Les Champs Elysses) for my afternoon snack. I left with eight macaroons including two new flavors. Dad and I had an early evening as we were starting three days of day trips the next day.